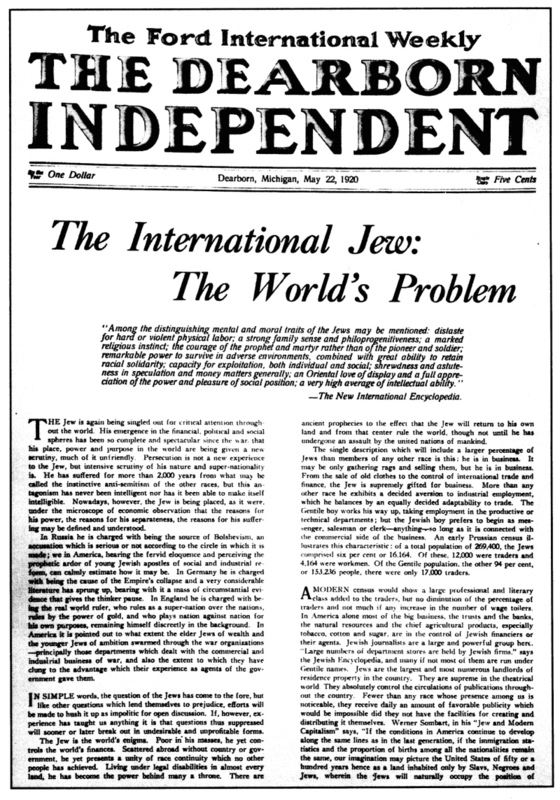 “The Jew is the world’s enigma. Poor in his masses, he yet controls the world’s finances. Scattered abroad without country or government, he yet presents a unity of race continuity which no other people has achieved. Living under legal disabilities in almost every land, he has become the power behind many a throne…. 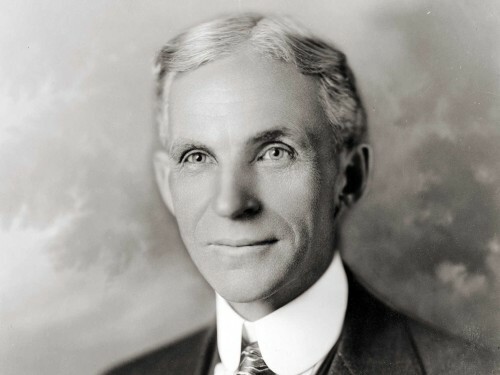 IT WAS 20 years ago that I first spoke to you on this program about the efforts of the great industrialist Henry Ford (pictured) to counter Jewish power and propaganda. 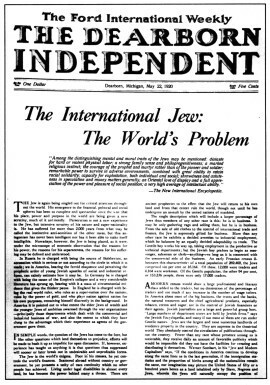 Ford made a monumental effort, spending and sacrificing millions of real dollars, digging up the facts of organized Jewish influence and publishing the results in his newspaper, the Dearborn Independent, and in his book The International Jew: The World’s Foremost Problem. This week and next I’ll be bringing you an updated version of my original broadcast on Ford, and adding further material on Ford’s resistance to Jewish power — where he succeeded, and where he failed. 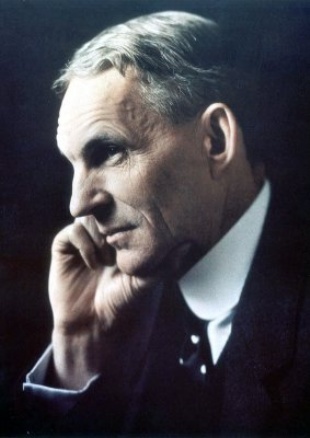 HENRY FORD ARTICLE REPRINTED: Thanks to Indonesian blogger Mengenai Saya for adding my article, “The Wisdom of Henry Ford” to her online English course. Note, though, that the address mentioned in the reprint is out of date, and anyone wishing to write me should use the “contact” link at the top of this page. Contrary to the media’s propaganda image, Ford was a gentle man with a philosophical turn of mind, deeply committed to peace and understanding between peoples. He did not “hate Jews,” and in fact worked closely with Jewish peace activists, whose insights were partly responsible for inspiring his book The International Jew: The World’s Foremost Problem — which was not only a best-seller, but at one time was given as a bonus to everyone who bought a Ford automobile.